The Brazil Baby Girl Kit is a great option for the little fan. 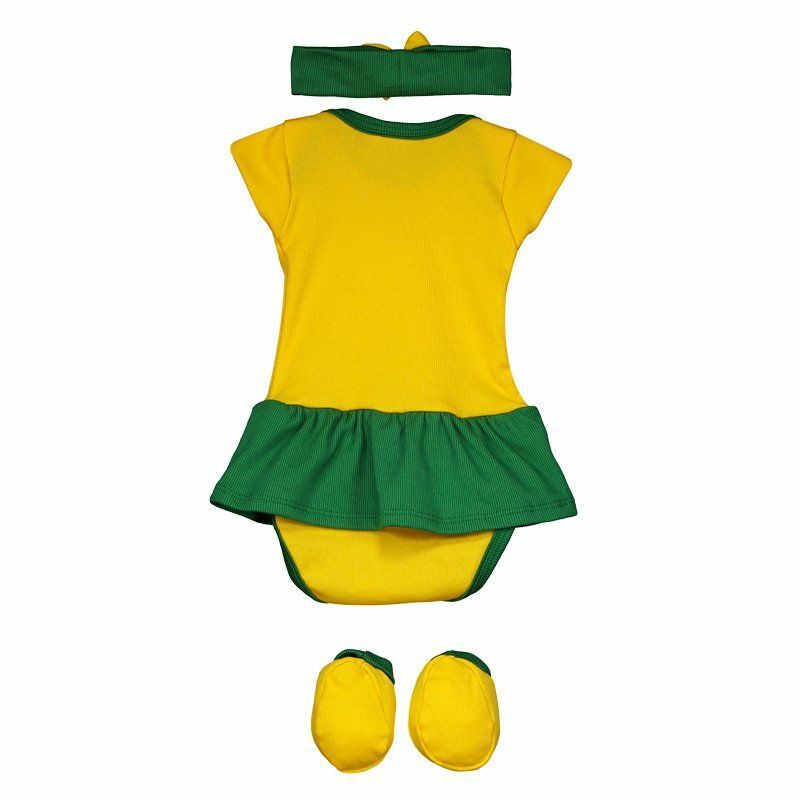 The body is made with natural cotton and polyester fiber, bringing soft and comfortable fabric. Its design brings the colors green and yellow, same color gets highlighted in the skirt. More info. The Brazil Baby Girl Kit is a great option for the little fan. The body is made with natural cotton and polyester fiber, bringing soft and comfortable fabric. Its design brings the colors green and yellow, same color gets highlighted in the skirt. It also has the country flag fixed on the chest. With a crew neck collar and short sleeves, the piece has button closure, ensuring more practicality. Finally, it has slippers with the symbol of the team and still brings a hair band with a highlight, complementing the piece.